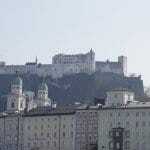 So the first stop of this ‘trekking’ trip was in Salzburg. 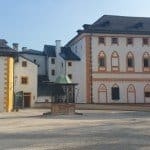 It is not only the birth place of Mozart and the famous setting for the Sound of Music movie but it was also a cheap and direct flight from my local airport (£45 per person with Jet2). 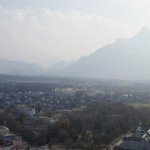 Salzburg is close to the German border and on the East side of the Alps; there are some amazing places to visit just outside Salzburg which are definitely on my list for the next visit and of course the Alps for skiing. 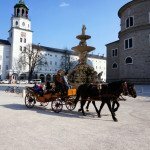 Unfortunately, on this trip we only had 24hrs to spend in Salzburg but it was still great. Arrival was pretty easy and thanks to hand luggage it took us less than 10minutes from arrival to the bus. 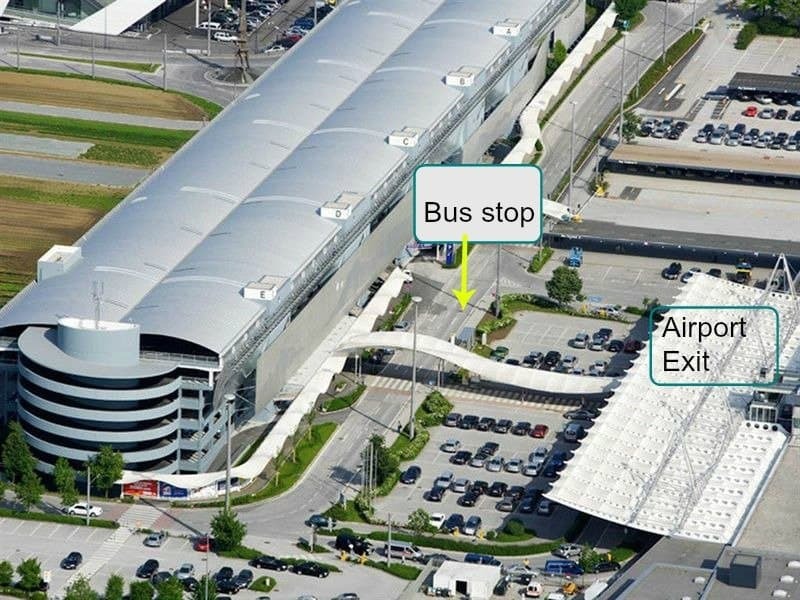 There is no train taking you directly to the city centre, you will have to take the bus, which is just outside the airport terminal. The ticket costs 2,5euro per person and it takes approximately 10-20min depending on which bus you take (Bus numbers 2, 10, 27 all go to the city centre). You can buy your ticket inside the bus, it costs 20p more but honestly, I found the ticket machine confusing. 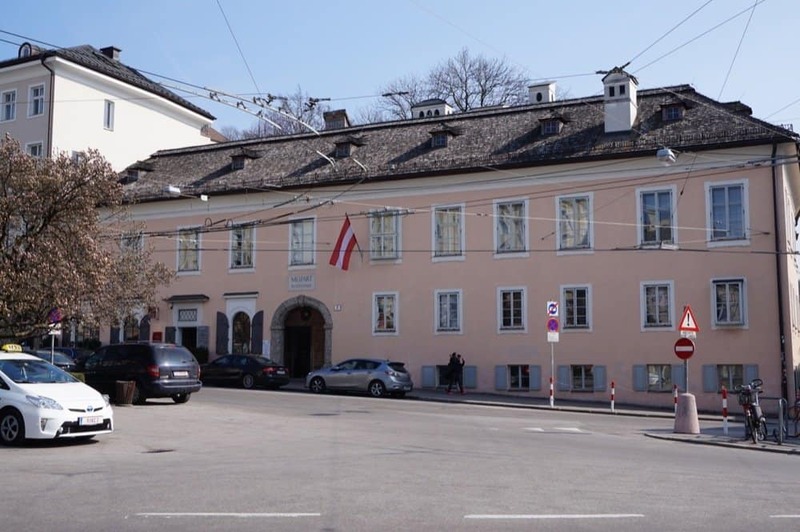 I loved the drive since I could see some beautiful Austrian houses. For some reason, I love these types of houses and it’s on my goal list to live in one of them even if for a short period of time. We asked our driver to let us know when we arrive in the city centre which he did. 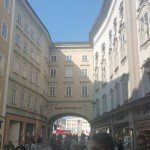 I find that Austrian people are very polite and nice and every time we asked for directions they were helpful and directed us to the right place. I have had instances where people didn’t! We stayed at the Crown Plaza which is 10 minutes walk from the city centre; I was running for the Accelerate promotion which I actually messed up and probably lost, but that’s for another post. 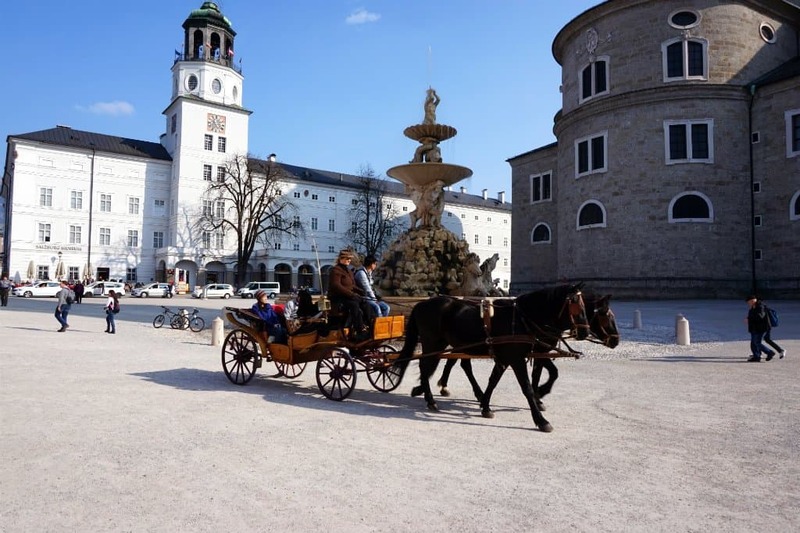 You definitely don’t need taxis to get around Salzburg if you want you can splash out on a horse and carriage to take you around the city; it costs a very reasonable 40euros for 30min. You definitely need to visit the old city it is very charming and beautiful. You can walk around the city and enjoy some window shopping, take photos and just have a coffee in one of the coffee shops. We also found a Premium Spark supermarket, didn’t even know they existed but they had the cheapest fresh juice I have ever bought; 500ml for 1.5 euros. I went back 3 times to buy more since I loved it. 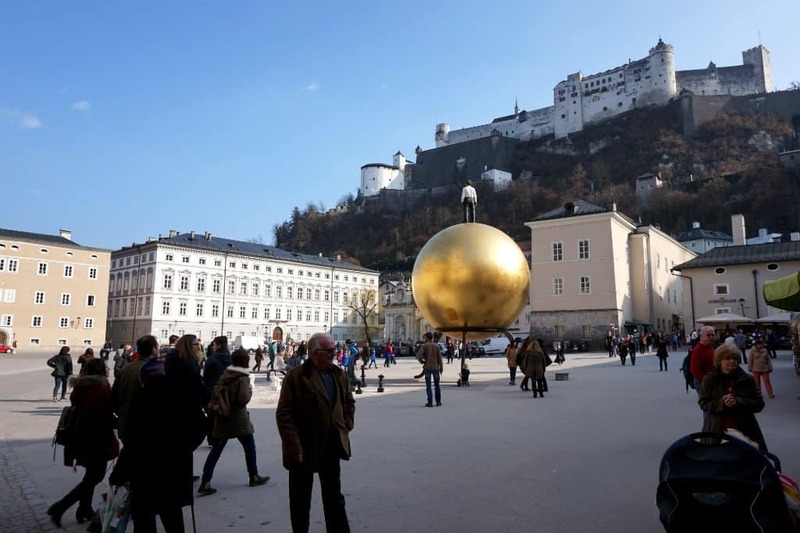 On your way through the old town you will end up in the Cathedral and Fortress Hohensalzburg or also known as Salzburg Castle. On a nice sunny day, it is perfect to sit down on one of the benches and watch the world go by. I love the building architecture and just relaxing and taking in the moment. 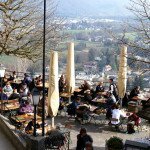 To get to the castle you will need to take the funicular, it costs 15 Euros per person and you can see around the castle as well. The view from the top is beautiful and definitely worth it. I wish we didn’t have dinner before getting up as there was this beautiful restaurant with nice views. 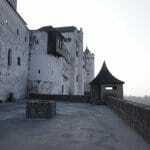 You can enjoy some of the exhibitions in the fortress and read more about the medieval times. One more place you shouldn’t really miss will be the Mirabell Palace and its beautiful gardens. 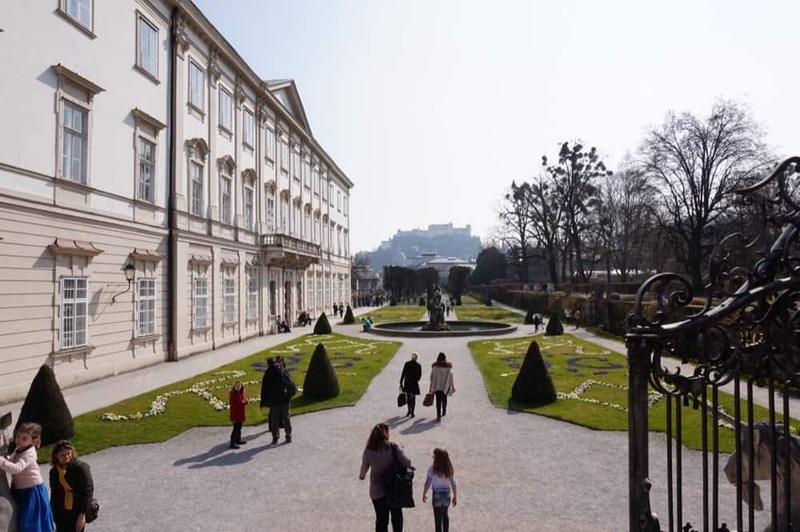 The palace with its gardens is a listed cultural heritage monument and part of the Historic Centre of the City of Salzburg UNESCO World Heritage Site. Very beautiful and perfect place to relax after a long walk. 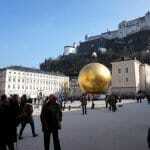 Since this is the birth city of Mozart you can visit his old house which is currently a museum. 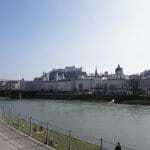 You can find it in the city centre just next to the Mirabell Palace. 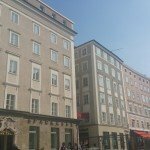 We didn’t go inside so I can’t comment on the exhibits but it is recommended especially if you have a few days in Salzburg. Tickets costs 10 Euros per adult. 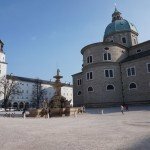 If you have more time in Salzburg you can visit the Salzburg Zoo, The Cathedral , the Galleries and more. There were several halal restaurants we found. We did try to go to one of them but for some reason got lost even though it was only 10 minutes walk from our hotel! Don’t ask. We ended up eating fish and chips like proper British tourists. 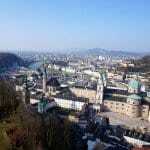 There are also several mosques in Salzburg if you can visit for prayer. 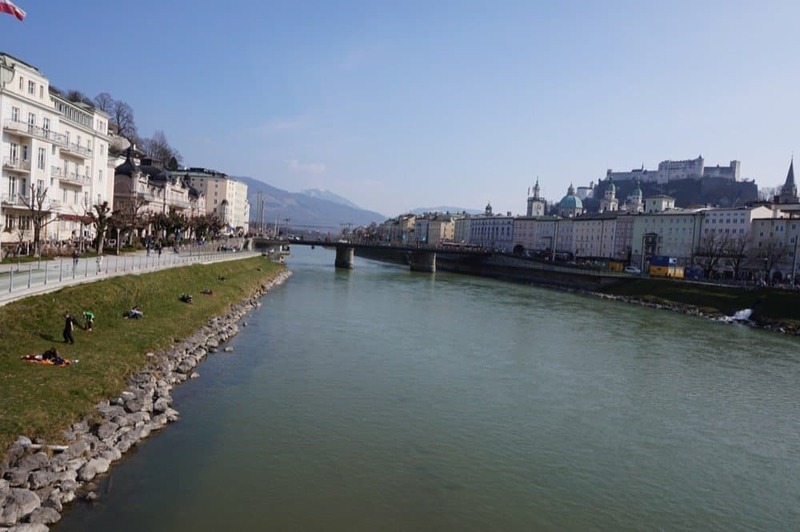 Salzburg is a small and very charming city, with cheap flights from the UK it is a great destination even for a weekend away. I love going off season and the Alps in the summer are stunning so I am sure we will pay a visit again soon.